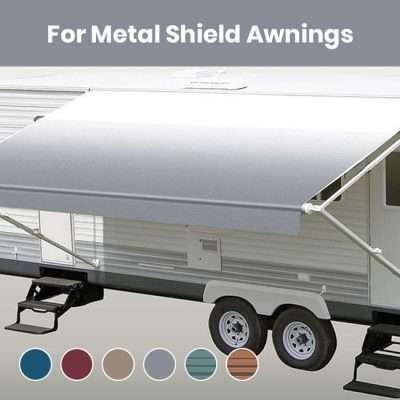 Shop for brand new RV awning replacement fabrics designed to fit the Carefree, Dometic (A&E), and Carter regular patio awnings (without the metal shield). 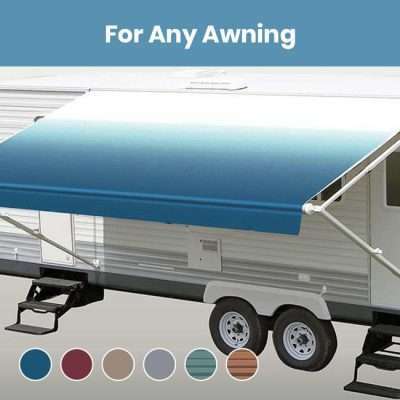 RV awning replacement fabrics come in 8 ft – 22 ft widths and are a one-piece canopy design. We promise the lowest price and the toughest quality awning replacement fabric available. You can find additional information on how to install our awning replacement fabrics. Please refer to our Frequently Asked Questions or view our Installation Guide.